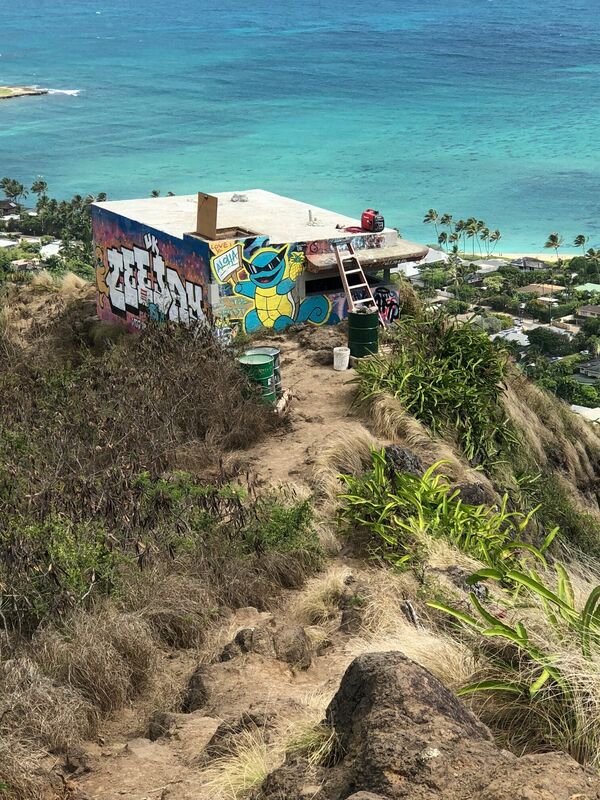 HONOLULU—The Ka‘iwa Ridge or “Lanikai Pillbox” hike will re-open on Monday, August 20 after a 60-day closure to rehabilitate the two observation stations, commonly called “pillboxes.” DLNR requests the cooperation of hikers to not prematurely hike the closed trail while final work is still being completed this weekend. Work consisted of concrete spall repair and replacement of rusted steel roof supports. New steel flange roof supports were installed, and roof sealant was applied to the WWII-era, observation structures. These repairs will protect the structures from further weathering. Known for its scenic vistas and iconic structures, the Ka‘iwa trail has garnered much attention from social media and online outlets. The trail’s increasing popularity as a bucket list destination, for local residents and island visitors, is sometimes viewed as a “loved to death” hike. To address concerns of trail capacity, visitor safety and comfort, and resident consideration, the Division of Forestry and Wildlife, with the planning consultant firm, PBR, is developing a master plan for the Ka‘iwa Ridge trail. After holding a public meeting and conducting an online survey during rehabilitation, PBR has compiled the thoughts and concerns of Ka‘iwa Ridge users and local residents. Future work regarding the Ka‘iwa Ridge trail includes debris removal by helicopter from the trail’s end in September, which will require a further one-day closure, and further surveying of the trail alignment. A strategy for graffiti removal at the observation stations is also under development.